Order your Amodex Stain Remover 4oz Bottle today from FahrneysPens.com. Fine Pens, Refills & Luxurious Gifts – great prices & fast shipping. 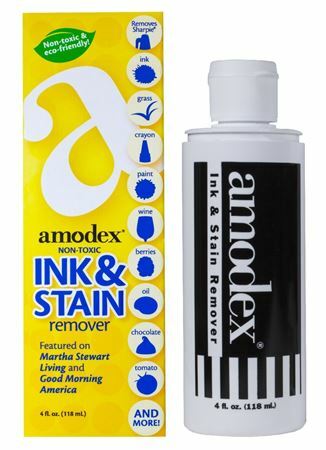 The 4 ounce economy size bottle of Amodex Ink & Stain Remover. The bottle comes in a box with a brochure including instructions and helpful hints for stain removal.